Why do we need to use FILTERS when we have an ADSL service? It’s because of the way this marvellous technology works. When we talk on the phone, our voice is transmitted in the frequency range between 300HZ and 3.4KHz. An ADSL service on your telephone line works in the frequency range between 26KHz and 1.1MHz. Because the two frequency spectrums do not overlap, it follows that both voice and data can be present at the same time on a single pair of copper wires. the filter removes the higher frequency ADSL signal from your voice communications- without it, you will hear data noise. 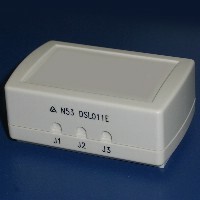 the filter prevents any interaction by the telephone on the ADSL service – without it, when you make or take calls on the phone, the ADSL modem will lose it’s connection, and won’t be restored until you hang up the phone. How do we connect ADSL filters? 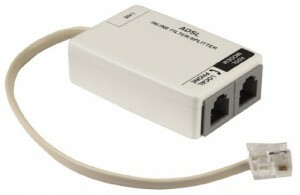 It is IMPORTANT to note here, that EVERY device, other than the ADSL Modem itself, requires an ADSL filter connection. That means that EVERY phone, fax, answer machine, eftpos, Foxtel IQ box, and even “Back-to-Base” alarm panels, must be connected via an ADSL filter. 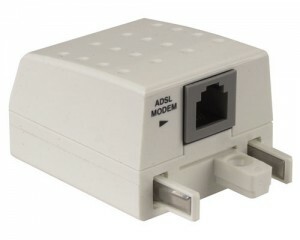 If you still have an old dial-up modem connected, it too, must use an ADSL filter. There are 3 ways of connecting ADSL filters to our phones (and other devices) when we have an ADSL service. Use a line filter, which plugs into the wall outlet, and the phone/fax/ans machine etc, plugs into the filter. Most new ADSL modems come with at least one Line Filter. If you have a wall mounted phone, there is a special clip-over wall plate filter available. Have a Central Filter installed in your house/business telephone cabling, on the telephone service which incorporates the ADSL signal (see below). Some situations require that a filter be placed in a central location in a building’s wiring before it gets to any other devices. when the ADSL line is also on a PABX service or telephone system. where a mode 3 Alarm Socket for a “Back-to-Base” Alarm system is present on the ADSL line. where any hardwired devices like ringers and antique phones exist on the ADSL line. where there are more than four outlets in use using the ADSL line on a premises. Central Filters are hard-wired units that need to be installed by ACMA licensed technicians. for mounting in a safe, dry, internal location …. 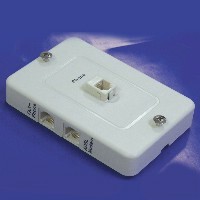 for mounting in an external or exposed location …. 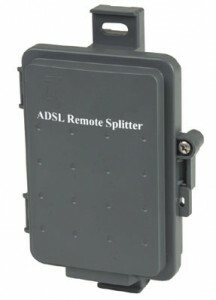 Pinnacle Phone and Data can supply and install all types of ADSL filters.